Andy Wilson will be joining The Beat 92.5 (CKBE-FM) morning show as co-host with Nikki Balch and Sam Lupovich, following "Cousin" Vinny Barrucco's announcement he's leaving the station. “Cousin” Vinny Barrucco has announced he’s leaving Cogeco’s The Beat 92.5 (CKBE-FM) Montreal. Barrucco, who has been with the station for the last seven years, announced on-air this morning that he’s moving on to pursue a new opportunity. His last show will be Friday, Feb. 1. Andy Wilson, will join the morning show as co-host with Nikki Balch and Sam Lupovich, starting Monday. Wilson arrives in Montreal with over 15 years of morning show experience in Toronto, from interning with Humble and Fred, to producing for Mad Dog and Billie and most recently Tucker in the Morning on Virgin Radio 99.9 (CKFM-FM) Toronto. Wilson has been freelancing since November when the morning show fell under cuts that hit multiple Bell Media stations. “We are absolutely thrilled to have Andy among our ranks here are The Beat 92,5. 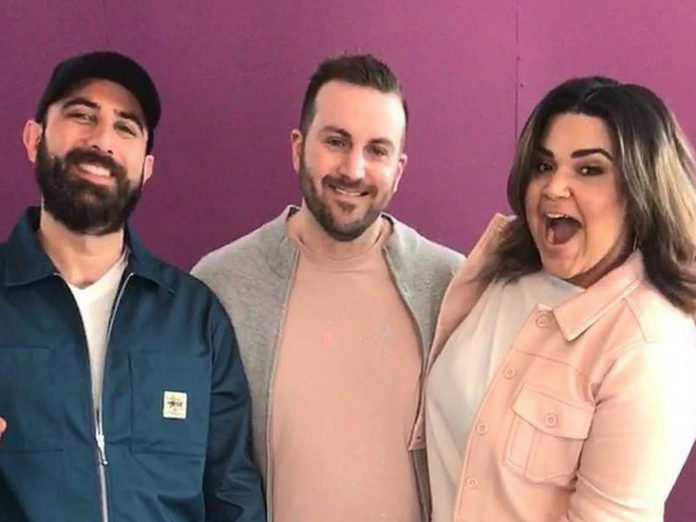 His infectious personality and extensive radio experience will be the perfect ingredient to add to Nikki and Sam during Montrealers morning commute. His addition to the team will bring a new, fun and interesting dynamic” said Paul Awad, program director, in a press release.